Oral solution. Decrease stress in high stress conditions. Travi-Vit-ADEK is useful to decrease stress in high stress conditions. 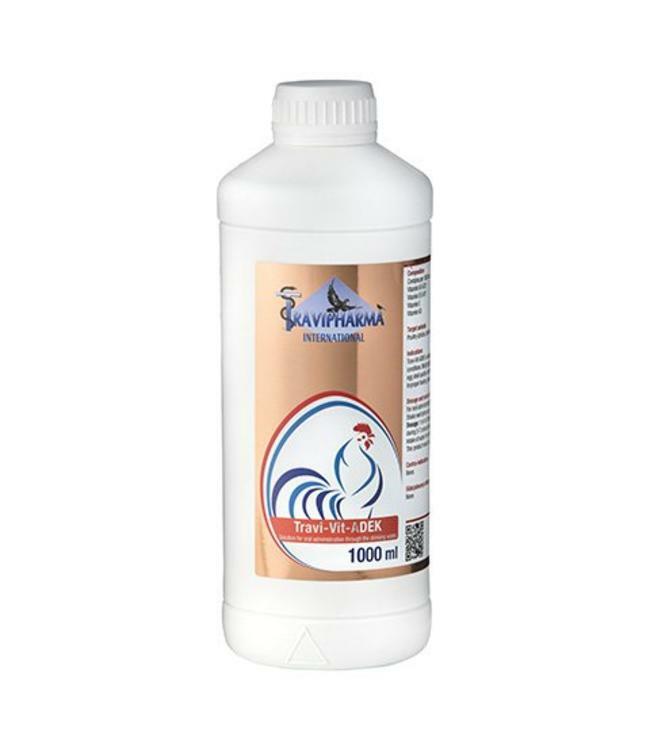 Weight gain, better egg production, improve egg shell quality and better hatchability. Improper feeding, disease estates and their recovery. For oral administration through the drinking water. Shake well before use. Dosage: 1 ml in 5 liters of drinking water, during 5-7 consecutive days. Intake of water from other sources should be avoided. This product needs to be changed daily. Contains per 1000 ml: Vitamin A E-672 7.000.000 IU, Vitamin D E-671 250.000 IU, Vitamin E 15.000 mg, Vitamin K3 23.000 mg.